Camden, NJ – A group of Haddonfield High School students are raising the annual tuition for a Camden child to attend UrbanPromise’s elementary and middle school, CamdenForward School. UrbanPromise is a youth development nonprofit that serves 600 Camden-area children and teens each year through after-school and summer camps, two schools, experiential learning, and teen job training. The 10 teens became involved in the organization this past summer. The students’ school group is dedicated to raising awareness about issues that affect Camden, particularly the city’s rise in crime and violence this past year. So far, 54 individuals have been murdered in 2012, and the figure is expected to increase. The group began fundraising for their student, a kindergartener named Noah, this past September. 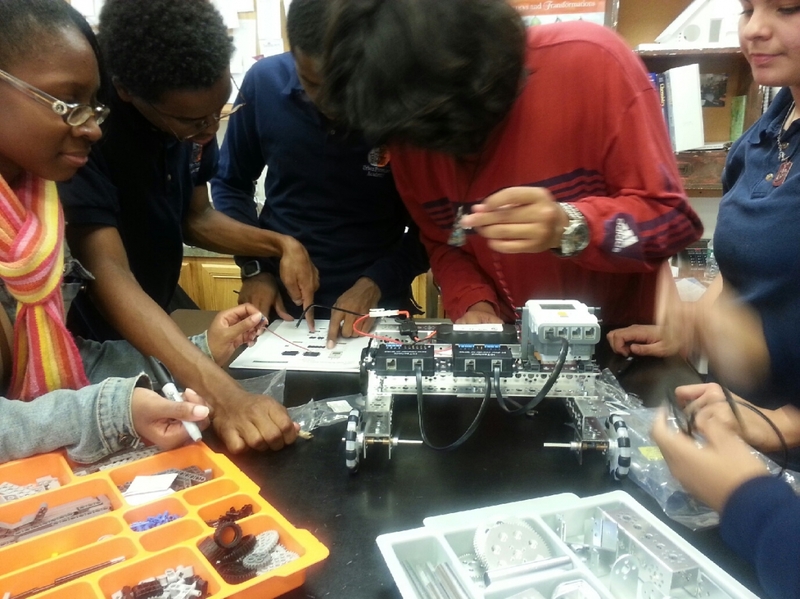 Their tuition support is processed through UrbanPromise’s Partner Program, which provides a Camden child or teen with a year of quality education at the organization’s CamdenForward School (K-8) or UrbanPromise Academy (9-12). 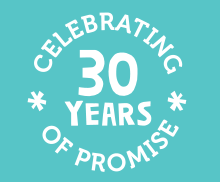 A Partner’s investment of $208 a month, or $2,500 a year, enables UrbanPromise to maintain low tuition for families. 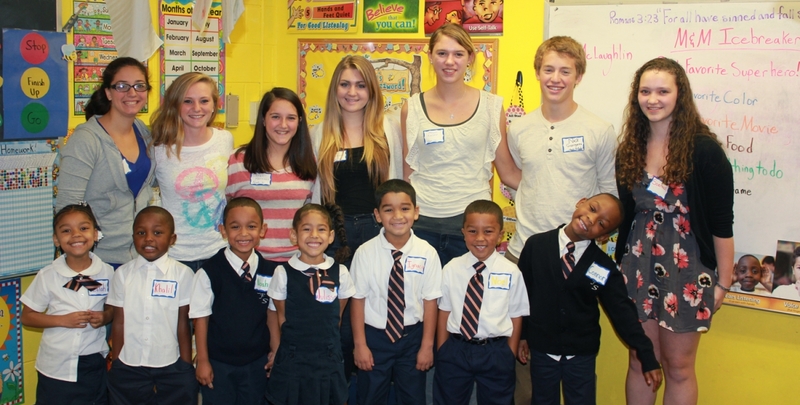 The students met Noah for the first time during UrbanPromise’s annual Fall Partner Day on October 24. They spent the day in the kindergarten classroom and outside on the playground with Noah and his classmates. According to Lindsay McLaughlin, the class “had an awesome time. 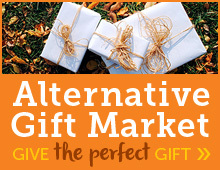 UrbanPromise encourages individuals or groups (book clubs, church groups, youth groups, etc.) 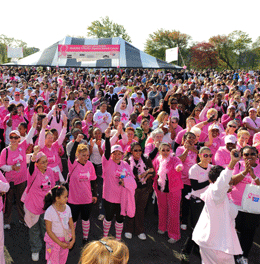 interested in a Partner Program sponsorship to contact Liz Getman at (856) 382-1854 or egetman@urbanpromiseusa.org. Bows + Arrows + iPods = Geometry at UPA! UrbanPromise Academy's math teacher, Joann Higgins, is keeping class fun and exciting for her students. 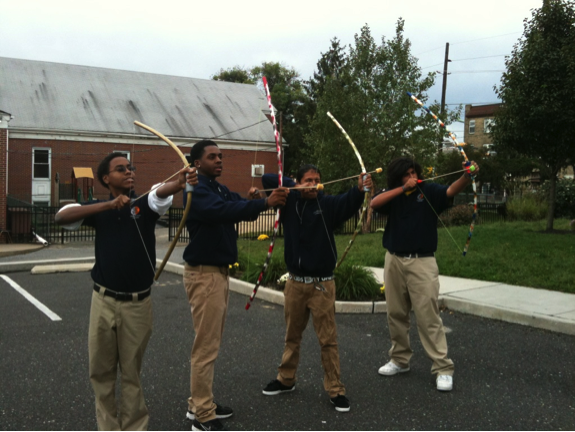 Last week, UPA's juniors and seniors learned about geometry through an outdoor archery project. Students created their own bullseyes out of cardboard--the seniors' target, an actual bull, was especially creative and colorful--and attached them to a tree. They then shot their arrows at each target and measured the shots' lengths and angles using modern technology (the iPod) and a more old school tool (the protractor). The lesson was related to triangles, angle measurements, and their real-world applications. The Big Read Takes Over Camden's Ferry Ave. Library! On October 11, residents of all ages joined UrbanPromise at the Ferry Avenue branch of the Camden County Library System to learn about The Call of the Wild and the exciting adventures of Buck the sled dog! A BIG thank you to the Riverton Lady Golfers! On Thursday, October 4, the women of Riverton Country Club hosted a ladies golf tournament fundraiser for UrbanPromise! The rain held off, the temperature was perfect, the golf was challenging but fun, and the auction items were lovely. All in all, it was a wonderful day! 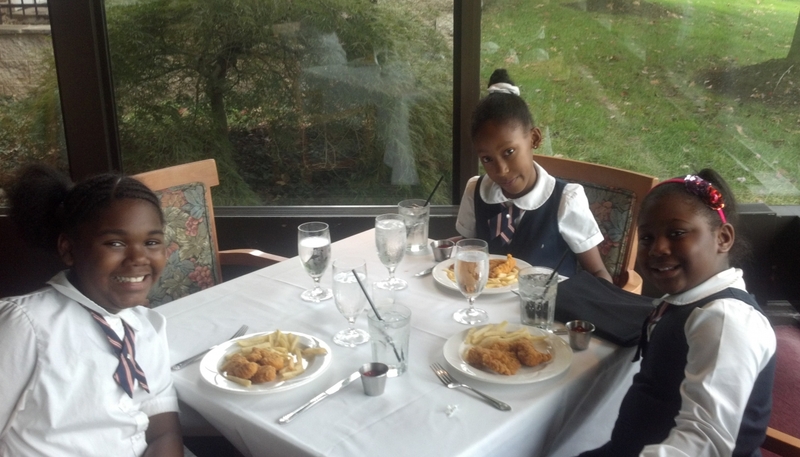 Our children’s choir was excited to perform and honored to be served lunch in the dining room. Several of our students commented that it was the first time they drank from “fancy” stemware! It was an incredibly nice experience for them and very much appreciated. We want to extend a special thanks to Michelle Stankovich and the committee who planned the event. 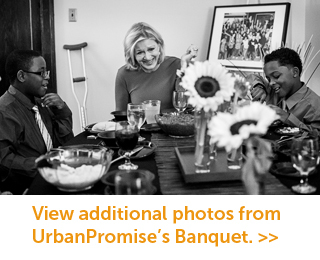 More than $14,000 was raised to support our students at UrbanPromise! These funds will offset tuition costs for UrbanPromise students in need of financial assistance. To everyone involved in the tournament, thank you for supporting our youth!